Get comfort and sporty style in a handy two-pair pack of socks. 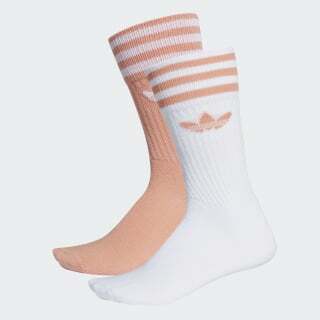 Because two pairs are better than one, these crew socks come in a duo of complimentary solid colours. Each shows off the iconic Trefoil and 3-Stripes at the top. The cotton-rich build has a hint of stretch for a snug fit.